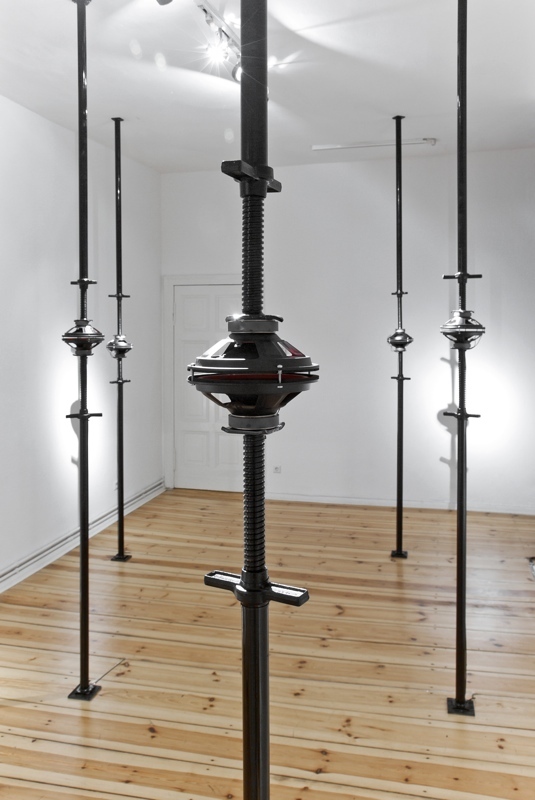 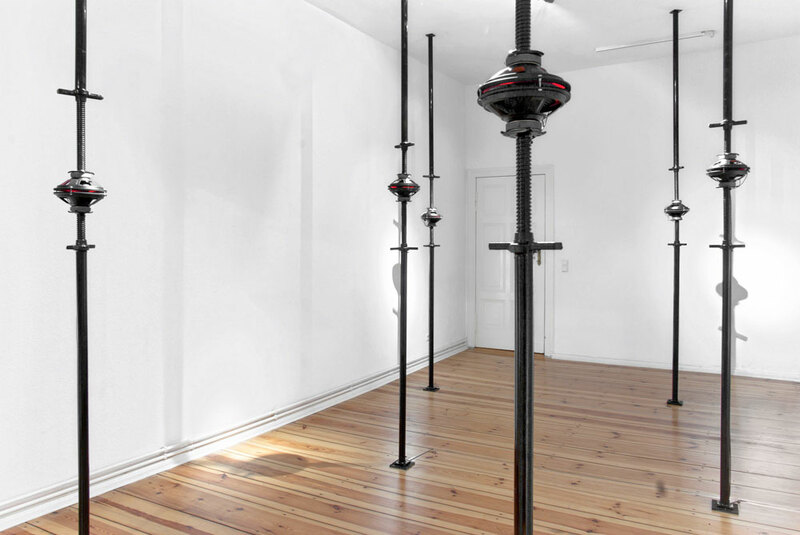 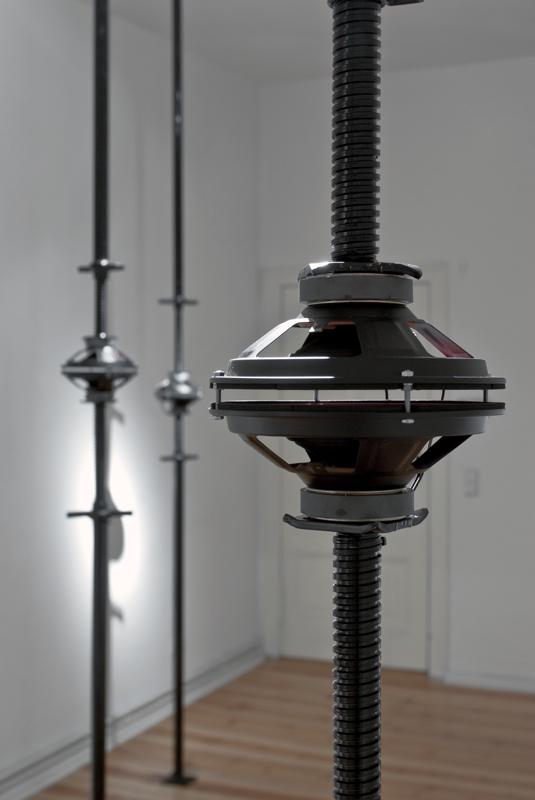 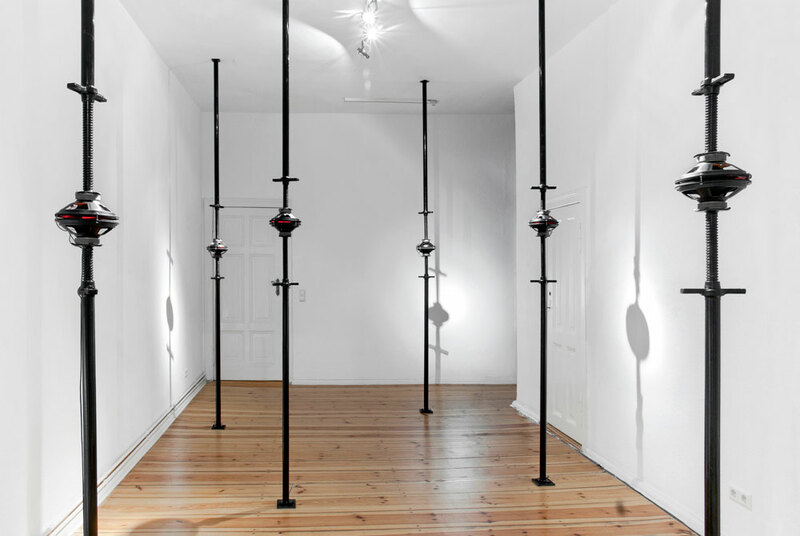 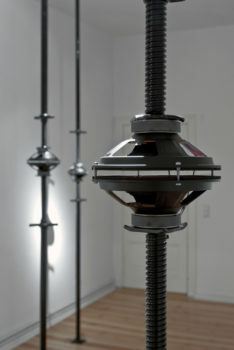 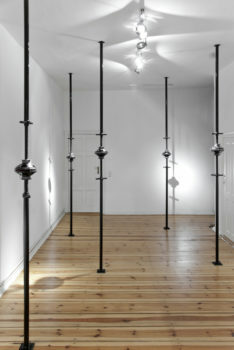 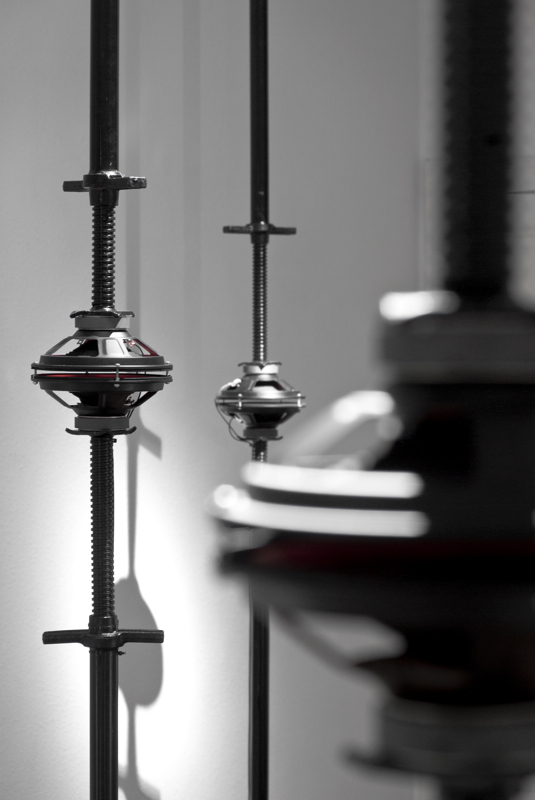 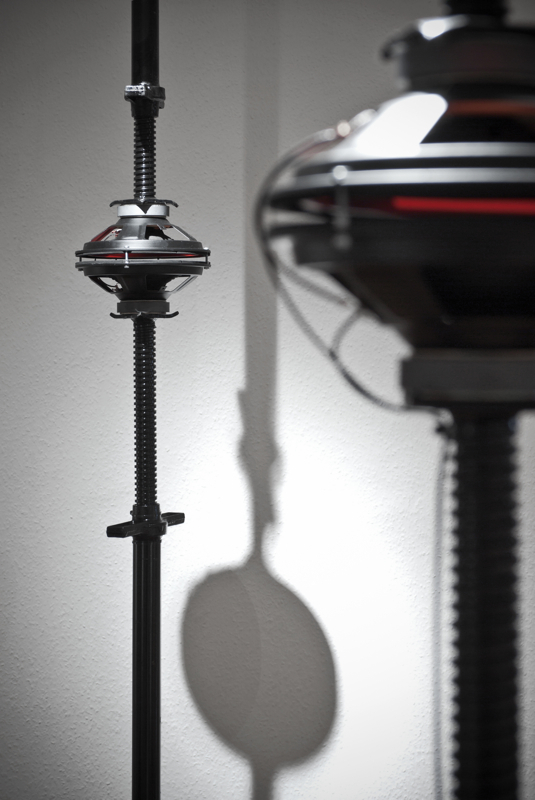 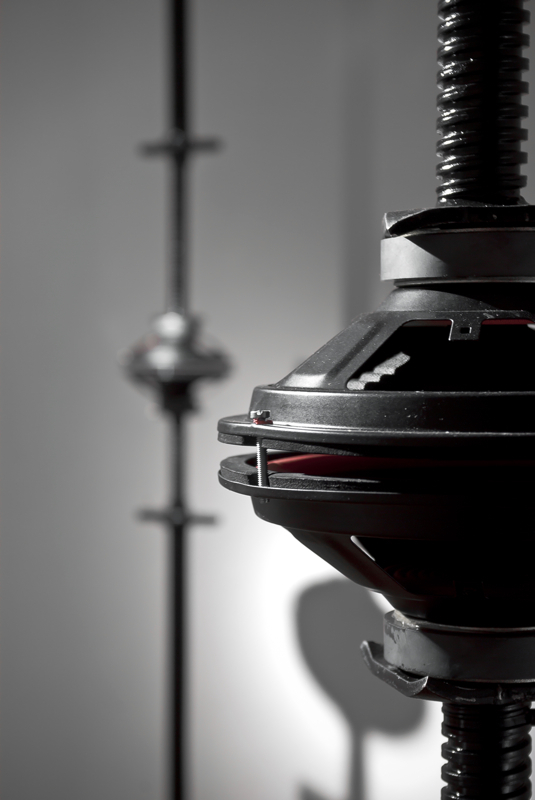 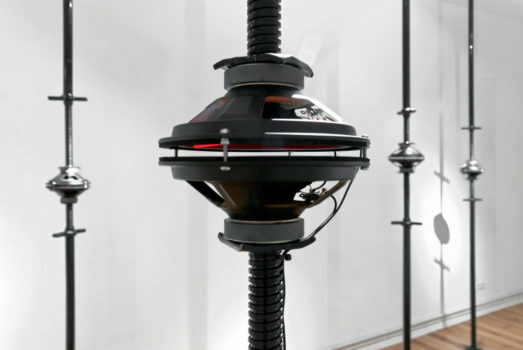 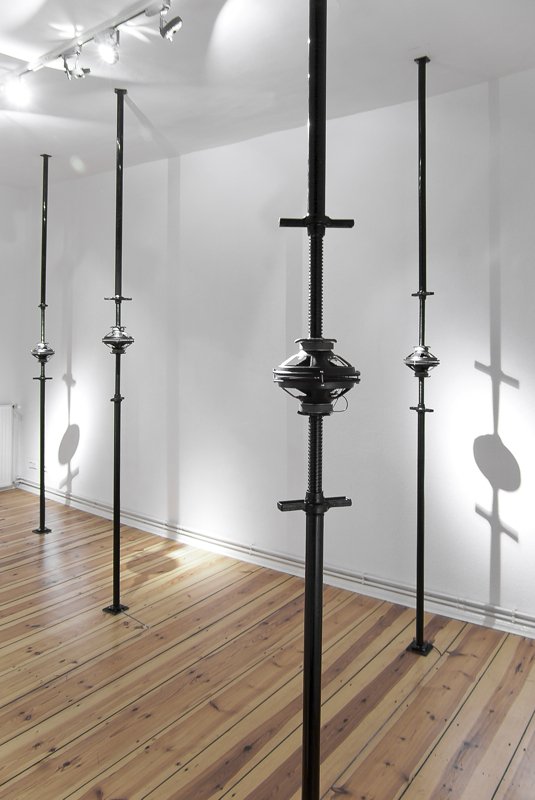 The sound installation Because Tomorrow Comes focuses on space considered in its dialectic between inside and outside, propping up the ceiling of the room in an attempt to prevent its collapse, but also to defend the intimacy of an inner space from the pressure of the outside world. 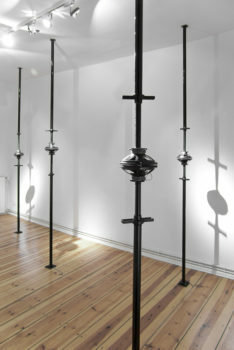 The loudspeakers were used to thicken and support the props but they diffuse the sound of the creaking of the ceiling they are supporting. 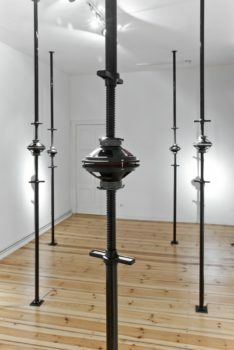 The installation increases the feeling of precariousness and insecurity, reminding the uncertain tomorrow looming over the audience.